The Japanese company Koyo JTEKT, the European leader in the power-steering market, set up its European Headquarters and its European Technical Center in Irigny, in the Lyon region. Operating in France and in Lyon since 1991, the group enlarged its European headquarters in Irigny, south of Lyon, in 2004, by inaugurating its new European R&D Center. With this new center, the Japanese company provides European car makers with the expertise of 200 engineers, to design the steering systems of the future. Since arriving in Lyon, Koyo Steering Europe has created over 700 local jobs, with ADERLY’s assistance. 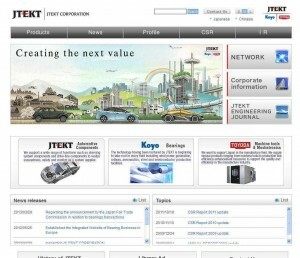 JTEKT is now the largest Japanese employer in France.